How do fiction writers enchant readers? Enchantment happens when you don’t sacrifice your own voice to the god of marketability. All writers crave an audience, but it’s by writing from your own passion, and expressing yourself skillfully using your voice that you will produce valuable writing: writing that has the power to enchant in its unique way. Worthy readers will find your writing. Beginning writers may struggle to find their own voice, or doubt that it is “good” enough. What do I mean by the “writer’s voice”? I understood this question much better (and got a great answer) when I read a post by author Meg Wolitzer on the website Everyday ebook (October 5, 2014). 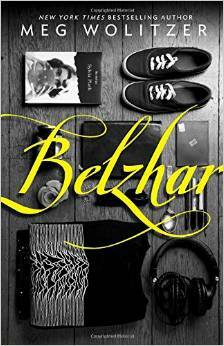 Wolitzer recently published a novel for young adults called Belzhar (so titled because Wolitzer was greatly influenced by Sylvia Plath’s iconic The Bell Jar). Much of her post was about how Plath’s writing affected her, but the part that helped me was her explanation of where a writer’s voice comes from. Sometimes when people are writing, they look far, far outside themselves. They look for something that might sound like a writer’s voice on the page and they forget that they have so much inside them that is a voice that they’ve been developing. That’s not to say that books are from the perspective of the writer, but they are from the sensibility of the writer, which is different. You can find a wonderful idea outside of yourself to write a book about, but you need to know the connection between you and that idea. And that connection is often in your sensibility and will come out in your voice. For me, the key words in the paragraph quoted above are sensibility and connection. The writer’s voice is not simply the writer’s perspective or the language used by the writer. A writer’s sensibility encompasses so many things: personal experiences, emotions, analytical thoughts, ideas from books and other sources—and how the writer processes, or makes connections, between all these disparate influences. What Warner learned from reading The Busconductor Heinz, he told Wachtel, is that “it’s possible to express profound things from the context of your own culture.” The book made him realize that you didn’t have to be a Waugh or a Hemingway, living in a huge metropolis or a glamorous place, to be able to have significant insights about life and people. I haven’t read The Busconductor Hines myself, but after listening to Warner on Writers & Company I looked up some reviews of it. There was a wide range of opinion. Some people loved it, others didn’t. Many readers were offended by the many repetitions of the crudest swear words, but others loved the authenticity of the “voice.” Writers can’t please everyone. Another thought I had about “voice” is that it comes partly from our inner lives—our imagination, our dreams, our subconscious—and those things are boundless. That is why one doesn’t have to have lived in an exotic or sophisticated place in order to write profound things. What Wolitzer calls the “sensibility” that we give to our writing is our inner synthesis of everything we’ve lived, observed, felt, and read—put into a context, a topic, and/or characters that we care about deeply. One of the events I went to at the Writers Fest this year was a panel discussion called “Better Living Through Books?” The three panelists (writers Rebecca Mead, Nadia Bozak and Damon Galgut), with moderator (and writer) Angie Abdou, were grappling with questions related to what I’ve written about the writer’s voice. How do writers choose what to write about? What makes their writing good? Do they think about their audiences while they’re writing? All of these authors reinforced the idea that the best writing comes not when a writer is trying to please a certain audience, or accomplish a specific educational or political goal in a didactic way. The best writing happens when someone writes about what matters to them personally—and is not afraid to bring their own emotions and experiences into the writing. I’ve always called this “writing from the heart,” and recognize it in my own best writing. The panelists of “Better Living Through Books?” all agreed that they were motivated to write the books they did because of their own passion for the subjects or books that moved them, their need to delve as deeply as possible into their material. These three panellists had been brought together for this event because all of them had been heavily influenced and inspired by other writers. Rebecca’s Mead’s lifelong “relationship” (some would say obsession) with George Eliot’s masterpiece Middlemarch led her to write My Life in Middlemarch, published in 2014. This book is a gem that combines memoir, literary criticism, and biography. It inspired me not only to reread George Eliot’s classic 19th-century novel, but to write a rave review of Mead’s work on my blog. 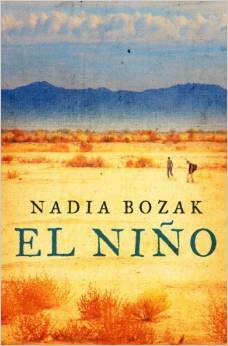 I was completely unfamiliar with the work of British writer Nadia Bozak or South African Damon Galgut. Part of the fun and intellectual excitement of the Vancouver Writers Fest comes from being exposed to books and writers that one doesn’t know. I wasn’t initially impressed by Bozak as a speaker, but when it came time for her to read from her own book, El Niño, I was captivated. Her voice was spellbinding, and after listening to her narrative for a few minutes, I felt compelled to learn more about her characters and their fates. Bozak has always been haunted by the works of Cormac McCarthy, Joseph Conrad, and J.M. Cootzee, and she has found her own stories and her own voice in extrapolating from their themes. 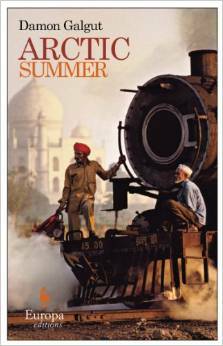 Arctic Summer is a fictional imagining of writer E.M. Forster’s intense personal struggles. Damon Galgut read from his book Arctic Summer, a novel in which he imagines E.M. Forster’s intimate life and inner thoughts during the long period he was writing A Passage to India. Galgut has been driven by his admiration for Forster. He explained that there have been numerous books written about E.M. Forster; we know a lot about his books and the facts of his life, but Galgut was curious about the psychology of this man who was a repressed homosexual, tormented by an unrequited love, yet able to channel his passion into enduring works of art. Since there were no facts about Forster’s inner life, Galgut chose to create a plausible Forster in the form of a novel. Like Bozak, Galgut possesses the gift of making us care deeply about his characters. I continue to feel delight and inspiration by listening to writers’ voices, literally, on CBC’s Writers & Company with Eleanor Wachtel. On Sunday, November 30, Wachtel was remembering the great British mystery novelist P.D. James, who died recently at the age of 94. She replayed a stage interview and reading she had done on stage with James at the 1999 Humber School for Writers Distinguished Speaker Series. Creativity is the successful resolution of internal conflict. 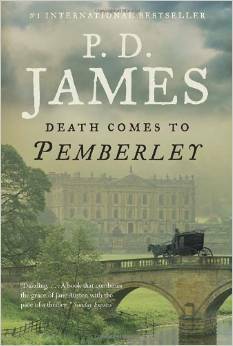 Death Comes to Pemberley, a continuation of Jane Austen’s Pride and Prejudice, is one of P.D. James’s best known books. It was published in 2011, when she was 91! What came through in James’s real voice was her sharp intelligence, her wit, her stoicism in the face of hardship, and the discipline she imposed upon herself to write well within a genre that had traditionally been considered below the level of literary novels. Indeed, she succeeded in changing her chosen genre, and her pride and joy in being able to achieve this came through in her voice during the interview. I remember another Writers & Company interview (from October) that made a big impression on me. Scottish writer Ali Smith’s voice was enchanting, not only because of her accent but because of the childlike, breathless joy that infused everything she said. She was talking about art, and how it is like a bridge between Earth and Heaven and between people. Much of what she said was mystical, obscure; it was a glimpse into an enchanted world. It didn’t matter that I couldn’t understand everything she said. What I caught was her excitement and gratefulness for the life she has had. She was very poor when she started as a writer but she said it didn’t matter. She is happy. She is doing what her talent has led her to do. I am driven to write book reviews for my blog though these posts are seldom popular compared to my running posts. Why do I do it? I realize that books are (and always have been) my greatest passion. Running was undoubtedly my greatest talent. It shaped my whole life. Through running I discovered another facet to my self-identity, one that the sixteen-year-old bookworm had never experienced: I was an athlete who could love the sense of physical power and effort. I gained a completely new appreciation of my body. Yet books are what completely engage me and excite me. The admiration and awe I have for great writers surpasses my reactions to even the most outstanding athletic achievements. I write my book reviews for two reasons: First, I write for myself. Book reviews are my vain attempt to capture the essence of great writing. What exactly am I trying to hold on to when the reading is done? • the zany creativity of unusual style or word coinage/combinations or meandering long sentences that sometimes extend to paragraphs or even pages that leave the reader dizzy, coming up for breath eventually after being suspended in another world. The second reason I write book reviews is because I’m compelled to share what I love. Yet I always experience a sense of futility while writing book reviews. 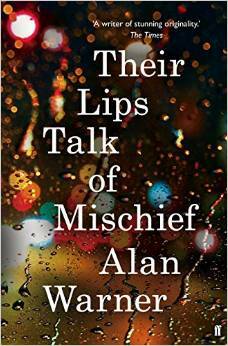 I know I can’t do justice to the book; the best parts of my reviews are the quotes, but what can I do when countless sentences and paragraphs of a book are worthy of quoting? Some books are so rich in their layers or themes or details or technical structure that they have to be reread. That’s what I thought about The Brothers Karamozov (Fyodor Dostoevsky) and Traveling Sprinkler (Nicholson Baker) [See my book review here.] Some books are so loved and reread that their characters become like real people or friends. For journalist Rebecca Mead, Middlemarch (George Eliot) has been a lifetime companion—she wrote about this in her recent highly-acclaimed book My Life in Middlemarch. The book I simply call “my favourite book” is A Tree Grows in Brooklyn (Betty Smith). I read it first when I was twelve, and have reread it so many times I can repeat many sentences and paragraphs of it by heart. Avid readers know there is never enough time to read, especially now with all the distractions of the Internet. In fact, the online world just gives me more suggestions about worthy books; it gives me access to more book reviews, blogs, and other opportunities to interact with people about books. All of this conflicts with the fact that reading (and writing) are solitary activities best done without distractions. I also feel torn between the desire to read (and reread) classics and my favourite books, and the urge to devour the latest books and keep up with the evolution of writing techniques, forms, and contemporary topics. The illustration below gives a quick view of the books I’m eager to read, and what led me to them. Some of the books I want to read RIGHT NOW! My comments about how I was reminded about John Updike’s work illustrate one thing I love about the Internet: the randomness of discovering jewels or links to jewels. 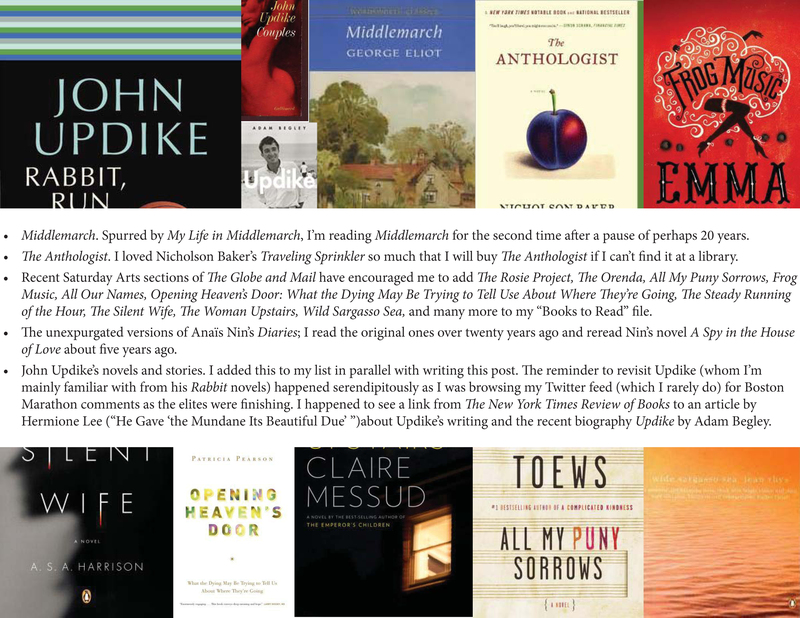 Hermione Lee’s article about Updike’s writing not only made me want to read more of him, but encouraged me as a writer. For one thing, Lee’s article is over 2,600 words long, so there is still a place for extended book reviews and analyses about writers. I was also encouraged to discover that Updike drew heavily upon his own life as the source for his fiction. I have struggled with questions of how to use personal experiences without being totally narcissistic, and how to use real people and experiences as “seeds” for fiction without simply recounting real events. Reading Rebecca Mead’s My Life in Middlemarch gave me a renewed optimism about the endurance of excellent writing and appreciative readers. It reminded me that great writing has universal themes that bond readers across time and space. In her book, Mead has described the heart, mind, and art of one writing genius, George Eliot. Her examples of Eliot’s writing are striking; and what is more, Mead’s own words as she analyzes Eliot’s personal life and the repeated themes of her books are worthy of the author and the book she has been devoted to since she was a teenager. Critics have praised My Life in Middlemarch highly, but have called it an “unclassifiable” book. I found its many facets wonderful. Mead, a lover of literature and a staff writer for The New Yorker, writes about how the book spoke to her as she read it regularly at different times in her life, starting when she was a teenager and continuing now as a journalist in her forties. In her research for My Life in Middlemarch Mead was thorough. She wasn’t just a worshipper of a great writer—she didn’t shy away from exploring the thorny, less admirable sides of Eliot’s character. Eliot became happier and wiser as she grew older, despite the physical ailments of ageing. She met the love of her life, George Henry Lewes, when she was thirty-two—middle-aged by the standards of her time. Moreover, Lewes had a wife and many children to support (though he was separated from them) and Eliot had the courage to live with him as a wife, considered a scandal according to the conventions of Victorian England. Mead is entranced by their love story, and believes that without Lewes’s love, support, and business acumen Eliot wouldn’t have been able to achieve her great success as a writer, especially the completion of Middlemarch. Mead uses the marriage of Dorothea Brooke and Edward Casaubon in Middlemarch as an example of how Eliot shows the disastrous effect of not understanding, and not having sympathy for, one’s marriage partner. The extraordinary thing Eliot manages to do, according to Mead, is to elicit the reader’s sympathy for both Dorothea and Casaubon. I was struck by Mead’s analysis of this because I read Middlemarch decades ago, and the one thing I remember most clearly about the novel was my distaste for Edward Casaubon. To me, he was a completely repulsive character. But Mead has given me a more nuanced view of him. She writes, “Eliot gives a chilling representation of a deadly, unbridgeable distance in marriage: the absolute failure of sympathy.” She convinces me that incompatibility in marriage “consists of two people failing each other in their powers of comprehension,” and she points out ways in which Dorothea fails Casaubon (his injuries to her are more obvious). Ah, such writing! Mead has chosen well to give us this passage with its iconic images and words so beautifully expressing Dorothea’s epiphanic realization that she is part of something bigger than herself. But the effect of her being on those around her was incalculably diffusive: for the growing good of the world is partly dependent on unhistoric acts; and that things are not so ill with you and me as they might have been, is half owing to the number who lived faithfully a hidden life, and rest in unvisited tombs. Mead analyzes the differences between the two drafts at length, but I could immediately hear how much poorer Eliot’s first draft was. The lack of musicality in the first draft is obvious even to an untrained reader. It’s inspirational to find out that a writer of Eliot’s stature and experience could improve so much upon her own words. And in that final, masterful version we see a kind of English that is seldom written any longer: the sentence is long and contains many clauses, yet it is not difficult to read because of its perfect, balanced rhythm. Every word is carefully chosen to reflect the exact meaning and mood that Eliot intended. Mead, Rebecca. (2014). My Life in Middlemarch. Toronto: Bond Street Books.